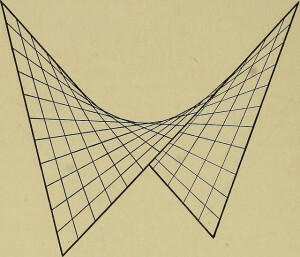 Most importantly for our purposes, truncated hyperbolic parabolas can be used architecturally, and usually as roofs. They look pretty, and there's no way that rain is going to pool on such a warped surface. London has a handful of important examples. Let Buzzfeed tremble in jealousy as we present the top six truncated hyperbolic parabolas in the capital. 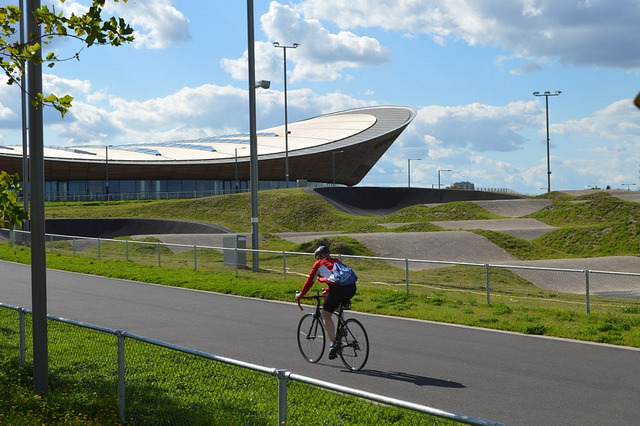 Designed by Hopkins Architects for the 2012 Olympics and Paralympics, the distinctive velodrome has won many architectural prizes. If we were in charge, we'd open up a daredevil track along the parabolic roof perimeter — perhaps with a ball pool below, to catch plummeting riders. This is why we're not in charge. 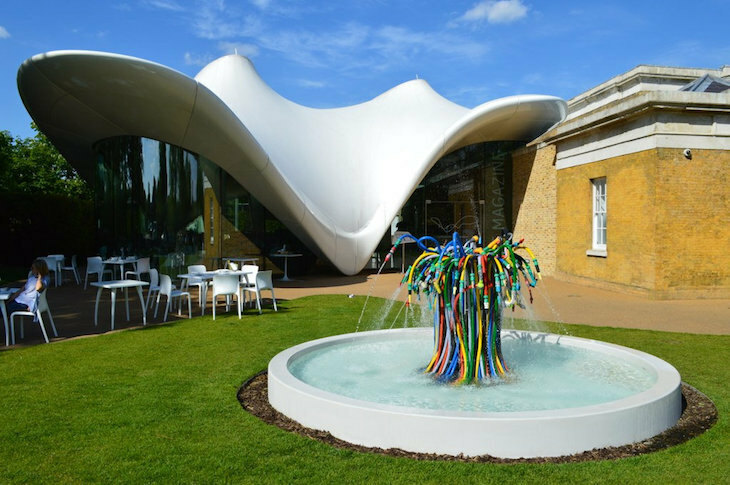 From outside, this Kensington landmark looks like a giant tent in a park. The effect is achieved by pinning 25 tons of copper onto... you guessed it... a hyperbolic paraboloid. 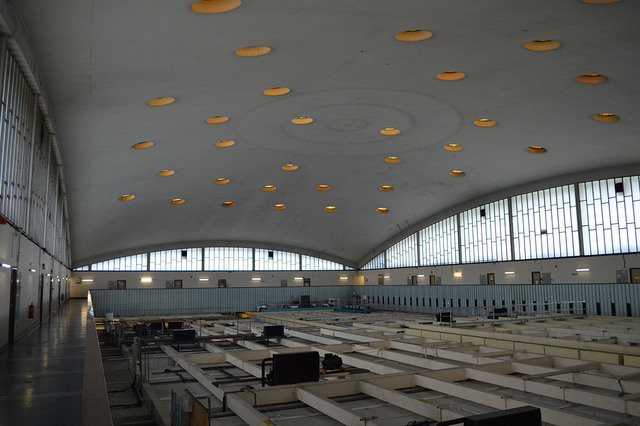 The former Commonwealth Institute has been converted into a home for the Design Museum. And what a smart design it is. School dinners are rubbish, right? Right. Unless they're served beneath a truncated hyperbolic paraboloid. The pupils of Catford's poshest school get that space-age experience every day thanks to this striking dining room from the early 60s. Former student Chuka Umunna MP no doubt endured many a lumpy portion of custard in this wondrous place. OK, this one is technically a truncated elliptical paraboloid, but these listicles always get a bit desperate towards the end. 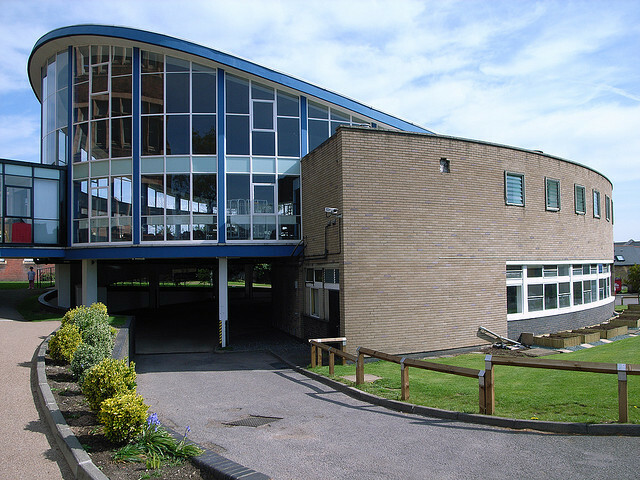 Like St Dunstan's, the market building was erected between 1961 and 1963. You'd hardly notice it from the outside, but the interior is one of the most jaw-dropping in London. A vast, centrally unsupported concrete blanket stretches over the vendors of chickens below. You'll find the space at the far western end of the market complex, and you're quite welcome to wander in during market hours. 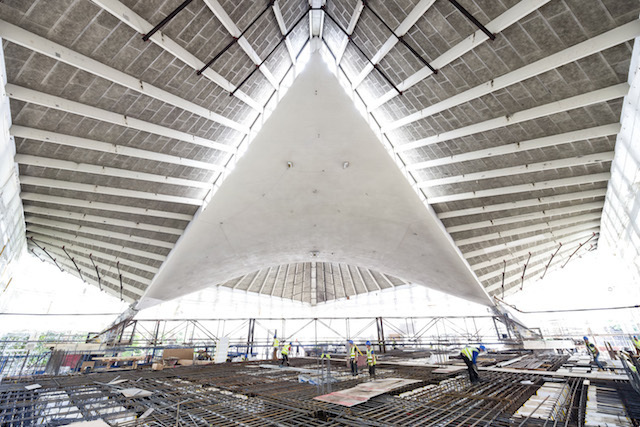 Just ask the foreman to show you his truncated paraboloid. Party Host: "Would you like a Pringle?" Londonist: "Why, yes. Thank you. 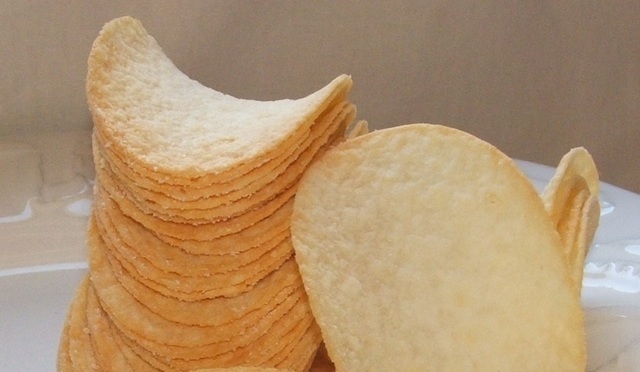 Of all the snacks, the Pringle most closely resembles a hyperbolic paraboloid. Do you have any non-Euclidian dips?" Party Host: "Erm, no, I..."
Londonist: "Oh, and maybe some HP Sauce. Did you know that HP Sauce is so named because its curvaceous bottle resembles a Hyperbolic Paraboloid?" Party host: "Erm, maybe... I'm going over here for a bit..."